Following a fascinating visit to Hannover Messe I made a quick stop in the UK to visit family before settling in Milan, Italy for May, and then back to Germany for SMT Hybrid Packaging in Nuremberg. Here’s what I’ve been observing in Europe and in the industry this month. As some of tech’s biggest hitters lined up on the Elysee Palace steps, Macron told the press: “There is no free lunch. So, I want from you some commitments.” Emmanuel Macron sees himself as a champion of France’s connected youth and wants to transform France into a startup nation that draws investment into technology and artificial intelligence. On his guest list at the “Tech for Good” summit in Paris was Facebook CEO Mark Zuckerberg, IBM’s Virginia Rometty, Intel’s Brian Krzanich and Microsoft’s Satya Nadella. Not a bad group to get together for any event let alone for a lunch. France is already making a name for itself as a startup nation. It scored well on the CTA’s (Consumer Technology Association) innovations scorecard, launched at the year’s CES in Las Vegas. France was also the second most represented country for startups in Eureka Park at CES, second only to the US. This month, IBM announced it would hire 1,400 people in France over the next two years in blockchain and cloud computing. 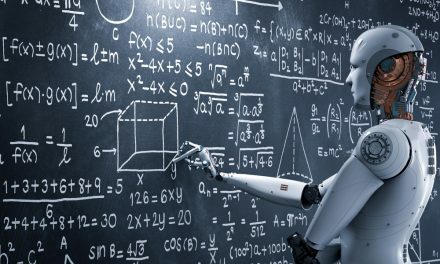 France also expects to invest €1.5 billion in artificial intelligence by 2022. With his “There is no free lunch” comment, Macron has done a great job of reminding the world, and perhaps more importantly the world’s largest tech brands, that what they do isn’t just for profit, and that a sense of purpose with some greater good in mind is essential. There’s no reason that doing the right thing needs to be at odds with success and even profit. Technology has so much potential to do good, and yet so much power to do bad. For example, AI is being used to improve outcomes for patients by early diagnosis of treatable diseases. AR is aiding surgeons in tricky operations, and 3D scanning and printing are being used to create lower cost prosthetic limbs or replacement joints. All good! But look at Cambridge Analytica and all the data being scraped from the internet, all bad! This last month we’ve seen challenges for tech companies as they struggle to manage the power that they have, because of the information they hold. We’ve all seen our inboxes full of emails about GDPR the last few weeks as we see new privacy rules change the way data is managed, as well as watching Mark Zuckerberg give his testimonial to congress and again to the EU. Continuing the theme of technology for the greater good, Tuesday, June 5th was World Environment Day with a focus on Ocean Plastics, a problem of huge proportions, creating areas of waste hundreds of miles across. Technologists are working on ways of recycling those plastics, collecting them for reuse as fuels and shortening supply chains to reduce the amount of plastic packaging used. Just another example of the challenges that technology can potentially overcome. June 5th was also the first day of SMT Hybrid Packaging, which saw a busy day of interviews on the SCOOPstudio in hall 5. As in recent years, the show was all about Industry 4.0 and the digital transformation of the manufacturing industry and its supply chain. Like Hannover Messe six weeks before, AI and Digital Twin were part of the conversation, as was automation and robotics, but much of the talk was about using quality data to drive process improvements. It’s refreshing to be talking about the value being delivered by Industry 4.0, rather than how we connect machines. Clearly the combination of domain expertise and an intelligent connected ecosystem is the answer. Domain expertise, to deliver the best and most reliable data, and an intelligent connected ecosystem, to contextualize and make use of that data to derive benefit and value, be that efficiency or quality improvements. There are more than twenty video interviews already posted on SCOOP’s YouTube channel and these will show up each day on EMSNOW and in the daily briefing. For a view on GDPR, check out the interview with Tom Forsythe from Kyzen and for insight into getting value from Industry 4.0 have a listen to what Aegis Software’s Michael Ford had to say. Also check out what Thomas Stetter of Mycronic had to say about their latest acquisition. SCOOPstudio at SMT Hybrid Packaging happened thanks to the sponsorship of Aegis Software, Jabil, KIC, SEHO and Radius Innovation and Development.